Form Builder app allows the user to merge the default labels and custom label together and create a new form as per your requirement. The user can embed the code easily into the HTML codes of their website and then this app will work seamlessly. Want to Build a form that suits the business requirements which is both beautiful and effective at the same time then form builder is the correct choice for it. You can create contact forms within a few minutes. The reason being is so simple that you don’t have to write CSS or HTML. You can add as many labels in this Form Builder. The user can manage the forms easily. When any user will enter data in the form then the ticket will be created on the UVdesk automatically. This is the speciality of Form Builder. Basically, it is of two types- Embedded & Public URL. In Embedded, you will have two types – js Based & iFrame. Under “js Based & iFrame”, the user will have to copy the codes and paste in the HTML codes of their website. For easily receiving notifications when someone fills out the form. For browsing threads in single place and see them clearly. One can embed web forms without having prior knowledge of coding. For making the appearance of the contact forms much more appealing. 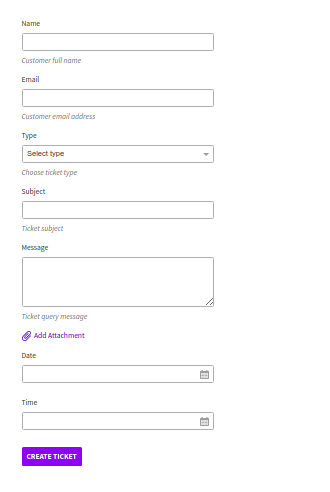 How can we create helpdesk form to collect customer queries? You can use the Form Builder Application of UVdesk to create help desk form. Forms made using the Form Builder App are secure and a new ticket is created when any users submit the form. By the help of Form Builder App, you can create multiple forms for your website for different purposes like you can create one form for the feedback, another form for any other services as per the requirement. Can we customize the look of the form? You can easily change the look fo the form. 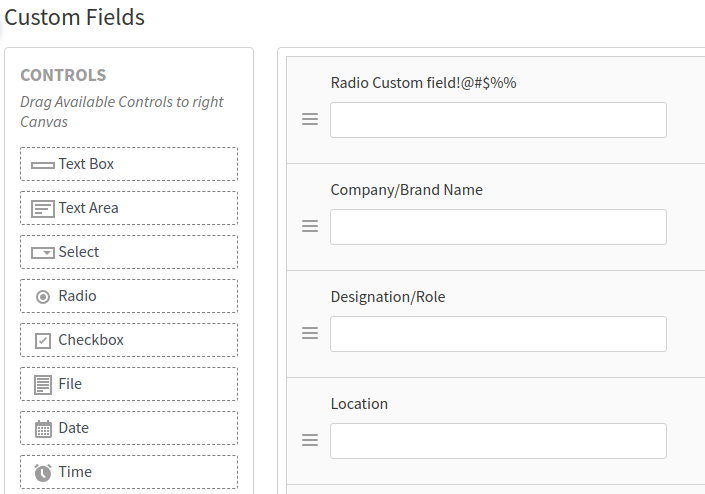 If you are looking to get additional information from customers, you can create custom fields and add to the form. Moreover, since you get the .js code to embed the form, you can easily customize the look by adding custom CSS to the code. How can we use helpdesk form on the website? When you create a form using the Form Builder App, you get an embed code in the form of .js or iframe which you can then use to connect the form with the website. If you do not want the form to be shown the website, instead redirect the customer to the helpdesk form, you also get the Public URL, to which you can send your customer to the helpdesk form. To which eCommerce framework, I can embed the helpdesk form into? Forms made using Form Builder App is devoid of any eCommerce framework, You can easily create forms and with the embed code, you can integrate with any eCommerce framework viz Magento, OpenCart, Shopify etc and CMS viz WordPress and Joomla.